Last application: This course is available anytime in anywhere. Would you like to get qualified with the world’s most popular and latest service management framework – ITIL 4? Then this foundation exam in ITIL 4 might just be the one you need! This foundation exam will help you view service management as a tool that supports organisations in transformations and agility. This exam certificate will manifest your knowledge and skills in ITIL 4 and hence, will open up various employment and progression opportunities for you within the IT industry. As Global Edulink is an Accredited Examination Organisation (AEO), you can now easily take this foundation exam through this platform. This exam will test your knowledge on the key concepts, elements and terminology in ITIL and on the emerging practices such as Lean, Agile and DevOps. This test will also further evaluate if you are competent enough to effectively apply service management to improve tech-enabled services and products. By listing this certificate in your resume, you will be able to successfully demonstrate your knowledge and skills on ITIL 4 service management to potential employers. Who is this Exam aimed at? 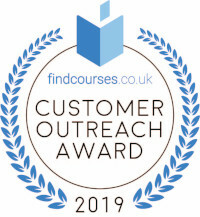 AXELOS is a leading awarding body in the UK that develops, manages and operates qualifications in best practice and methodologies that are formerly owned by the Office of Government Commerce (OGC). Established in the 2014, it has since earned a reputation for providing high quality support services for learning, employment and skills for life. A qualification from this awarding body will demonstrate a high level of skill and is a guaranteed way to stand apart from the others in the industry. Fill out your details to find out more about ITIL® 4 Foundation Official Exam.